Internet connection issues with Windows computers aren’t new. While less were reported with Windows 7, when Windows 8 was launched, users started complained of some or the other issue with network connectivity. With Windows 8 and 8.1, limited connectivity was a problem and in some or the other form, the problem remains with Windows 10. While Microsoft is trying to improve upon the issue with each simultaneous update, users still face the same. When you are unable to connect to the internet, isolate that the issue is not with the router or internet source itself by trying to connect some other device to the same. 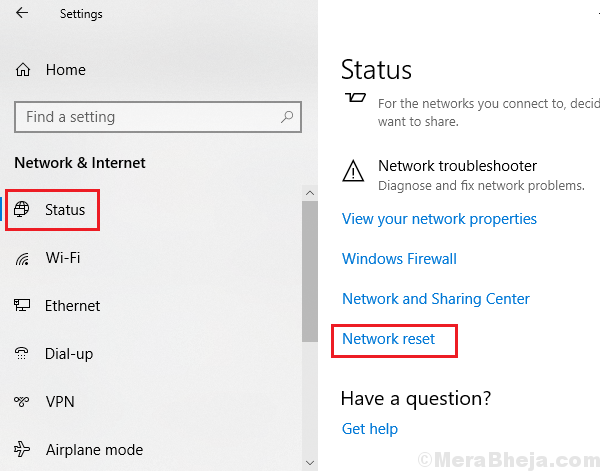 If it works fine with another device, it means the issue is while connecting to the Windows 10 system itself. 1] Press Win + R to open the Run window. Type cmd and press Enter to open the Command prompt window. 2] Type the command ipconfig /all and press Enter to check the IP address information. If the Media state is mentioned as Media disconnected, we have quite an idea of the issue. Here, we will try troubleshooting the problem with the adapter first and then try some generic fixes. 1] Type command prompt in the Windows search bar and right-click on the Command Prompt icon. Select Run as administrator. This will reset Winsock entries. 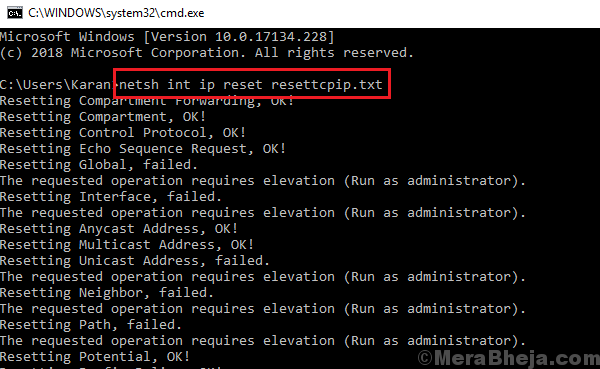 This command will reset IPv4 TCP/IP stack. This will command reset the IPv6 TCP/IP stack. Restart the system once these command are executed. 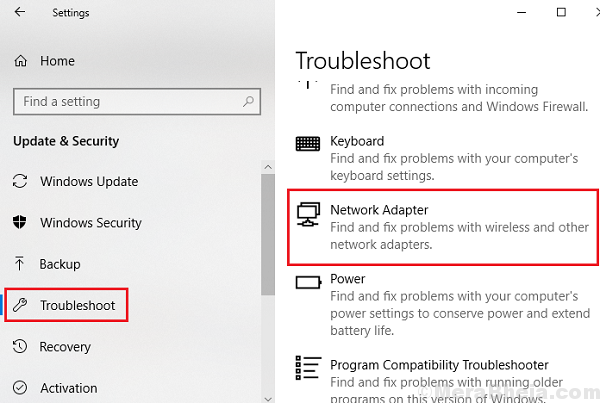 3] Select the Network adapter troubleshooter and run it. 4] Restart the system and check if it helps. At times, the network adapter does not pick up the IP address from the router. We could power-cycle the system to resolve the issue. 1] Switch OFF the modem, router, and system. 2] Switch ON the modem only and wait till all the lights are ON and stable. 3] Switch ON the router and wait till all the lights are ON and stable. 4] Connect any one device other than your Windows 10 system (eg. your phone) to your router and verify if the internet connection is working on it. If yes, proceed to the next step. 5] Power ON the system and let it pick up the IP address. This is one of the best solutions mentioned in this text and should usually resolve the issue. If not, try the following solutions. 1] Type command prompt in the Windows search bar. 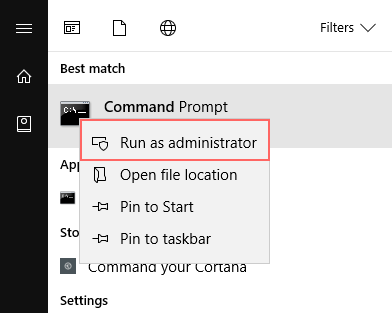 Right-click the Command prompt icon and select Run as administrator. 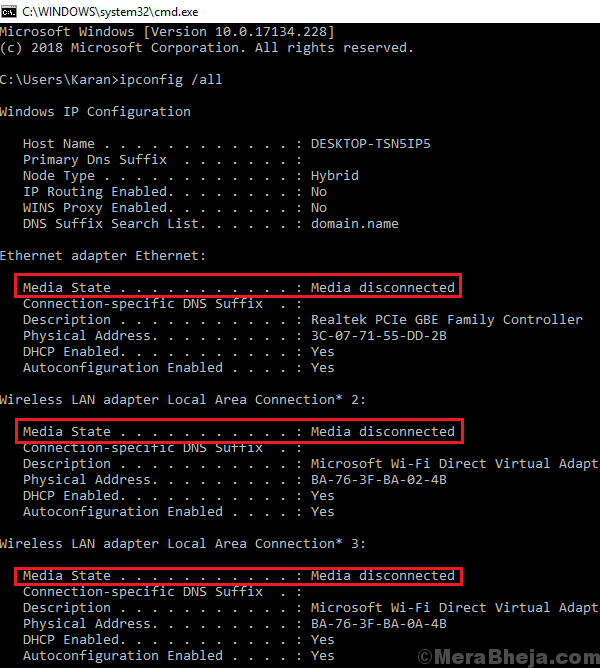 Use the Network adapter mentioned in the list here. Simply click on it, download it, and run it. Updating the Network drivers could help with the issue. The procedure to update the drivers is mentioned here. 2] Go to Network and Internet >> Status. 3] Click on Network reset and follow the procedure to reset the network. 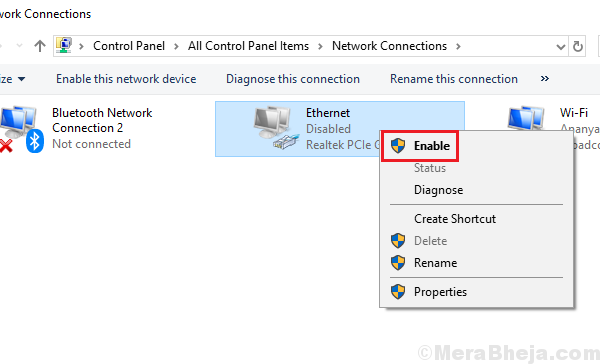 2] Right-click on your network adapter and check whether the first option is Enable or Disable. If it is Enable, the adapter was disabled, if it is Disable, the adapter was enabled. In case the adapter is disabled, Enable it and restart the system. Thanks a lot 1st solution worked for me. Wowww thanks a lot! After many days i find a reliable post about the issue. You are the man! !